MC Sound DJ is such an exciting duo! 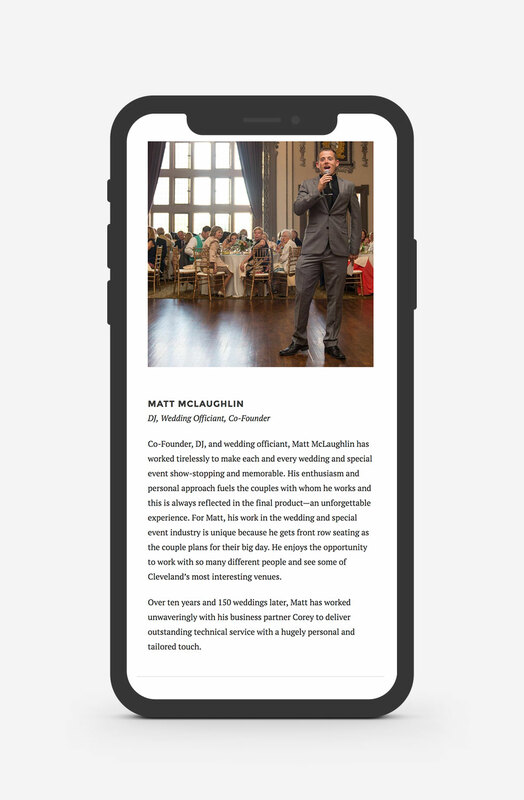 Matt and Corey are professional wedding DJs based in Cleveland, OH. 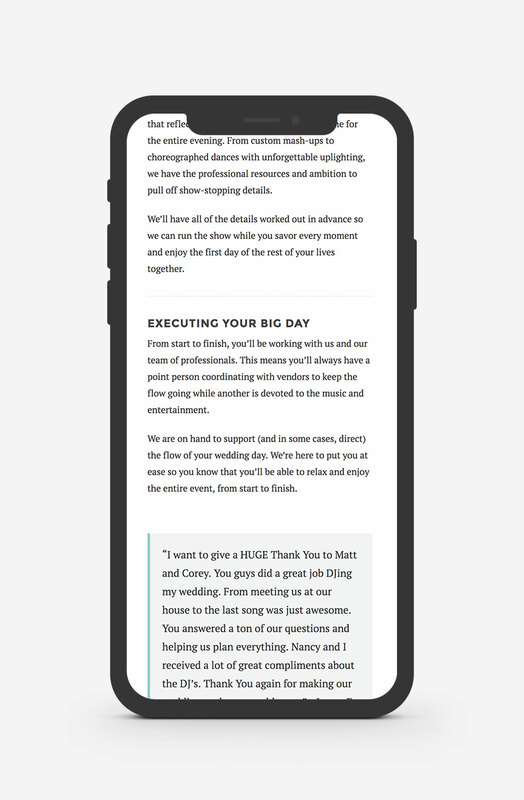 With over 50 weddings under their belt, they were ready for a completely new look! 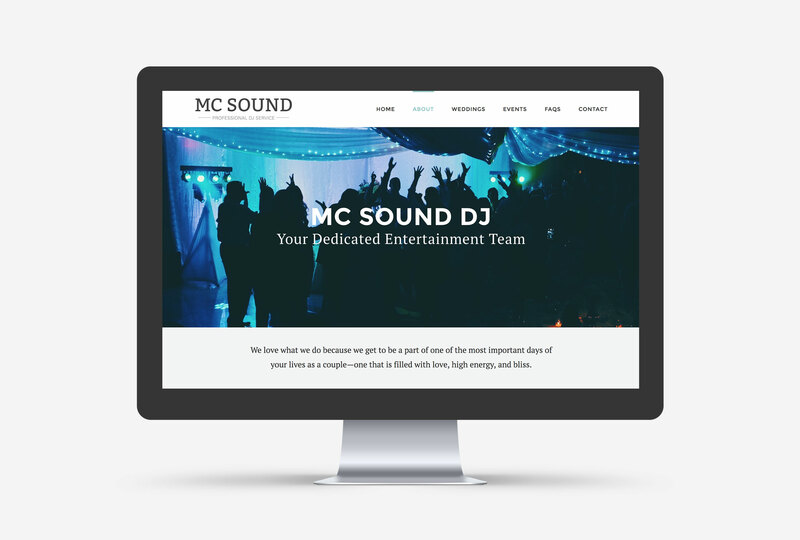 MC Sound DJ approached me looking for a complete re-branding, including a new logo design, new business card design, and a new website design and development. 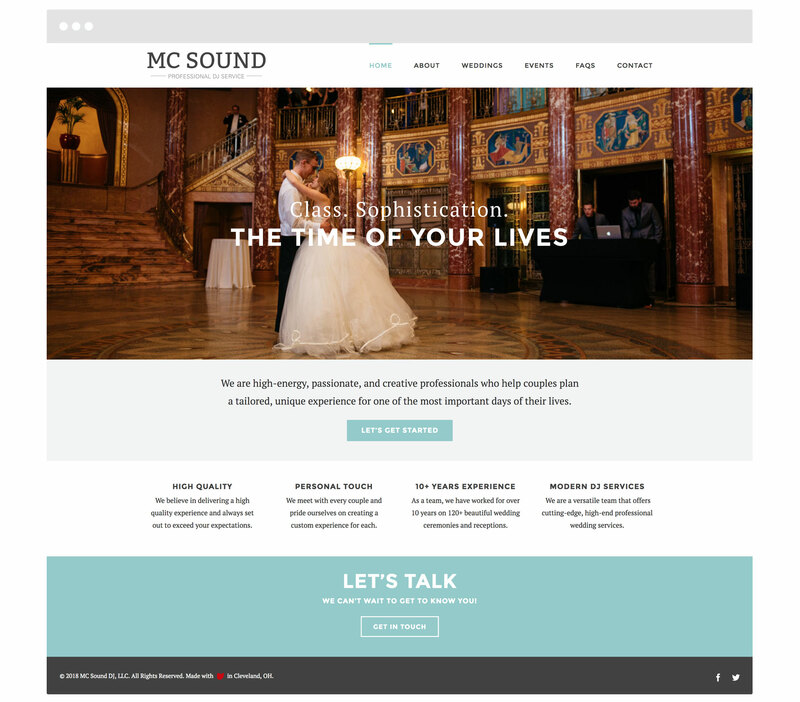 The result is a simplistic, yet professional logo, and an elegant responsive website geared towards brides searching for the perfect wedding DJ.